In the past few years, the Indian ceramics industry has been surprising the international market with its developing pace. 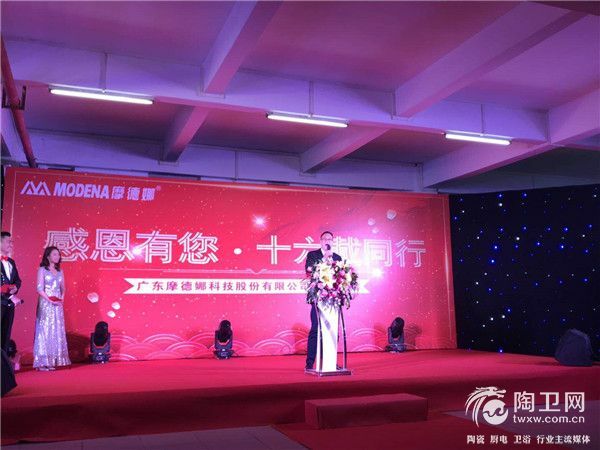 It is annual production capacity is now 1.4 billion SQM, which was 0.7 billion SQM in the year of 2014. Furthermore, the varieties in this market is getting richer by providing not just ceramics tiles but also the high quality sanitary wares and tables wares. Plus, the large size ceramic slab (the biggest size is 1620*3240mm) in India is now ranking in the first class for its capacity and quality in Asian area. Indian market is attracting a worldwide attention, it is a place you can’t afford to miss. 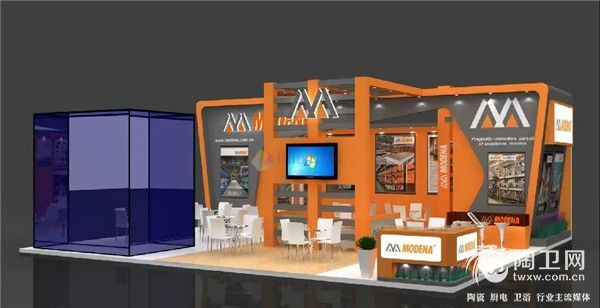 Since 2004, together with Indian ceramic industry, Modena has been growing with this market internationally with our innovative technology and considerate service, and also playing a bridging role of transferring the latest ceramic technology to India. Based in India, Modena is expecting a continuous growth and radiative influence to the countries / areas nearby geographically. From 27th February to 1st March, we sincerely expect your presences in stall No. 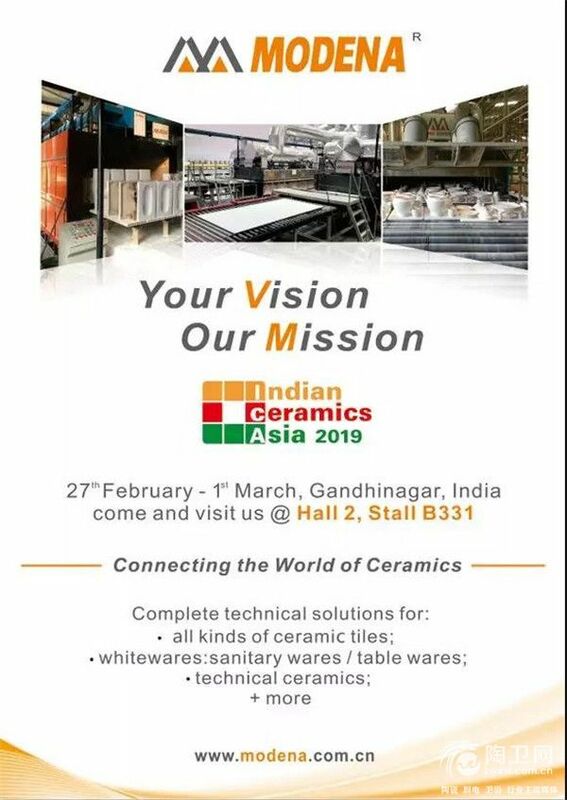 B331 at Hall 2 in the 14th Indian Ceramics Asia exhibition.